You know I love color. Lots of deep saturated and bright colors. Purples, magenta, burgundy, copper. It all speaks my name. But I will do lighter shades, and love to pair them with deep hues of greens. 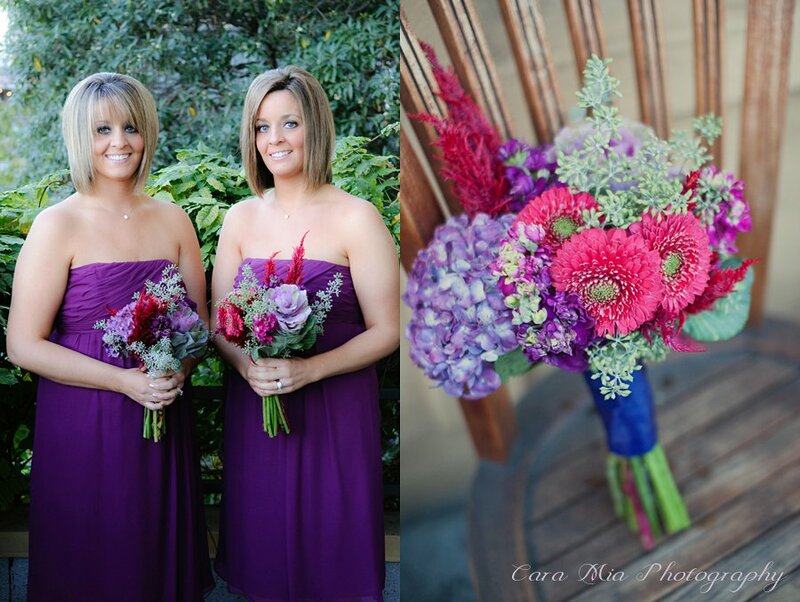 Take a look at an order I put together for a client this Spring for a Local California Wedding. Beautiful corsage for pin on with a natural English Garden feel. Small order for pickup, ordered online via our online store. Unique and artsy Bridesmaid Bouquet ordered for a small local wedding in the Bay Area. Fern accented boutonnieres for a wedding in Northern California. I don't do a lot of pink and white, but when I do I the BLUSH out of it! This beauty of a Bridal Bouquet was so fun to make. I love getting creative with the seasonal abundance available. Spring is a great time for anemones and peonies of course! A few weeks ago Gorgeous and Green provided the bright and lovely floral decor for a wedding at the Brazil Room at Tilden Park in Berkeley. The building there is beautifully set amongst rolling green hills, and the building is made with a lot of dark wood, so I wanted to keep the floral decor bright and colorful. The flowers were locally grown in half moon bay and Petaluma, and many were organically grown in Oakland too! We used a lot of spring flowers including anemones, ranunculus, leptopermum, vibernum, icelandic poppies, scabiosa, callas and sweet peas. Below are a few pictures of the table designs, all taken from my phone, so I apologize ahead of time. Although they aren't the best pics, they show the lovely colors! I hope to post some of the photographer's pics on my blog as some point in the future, there was a lovely decorate Chuppah too, and many other details. 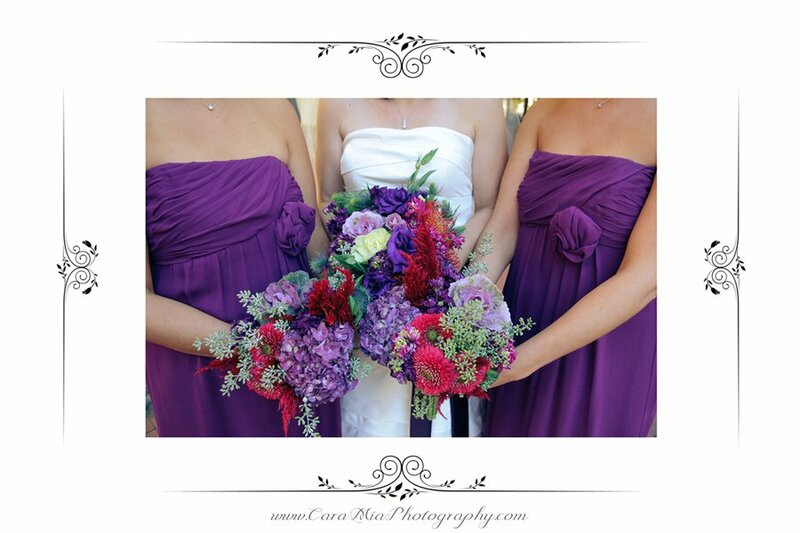 Just a quick post to show you some colorful photos of some bouquets I created for a wedding last year. Love the dark purples and the seasonal amaranth. Local kale, gerberas, amaranth, stock, local hydrangea and eucalyptus. Guess what time of year it was... Photos by Cara Mia Photography.